Wow. 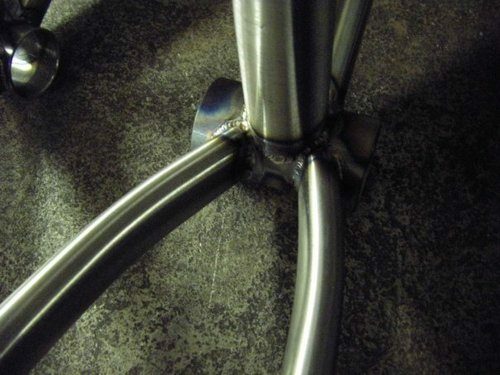 Look at those seat stays. Legs wide open, ready for a big fat tire. 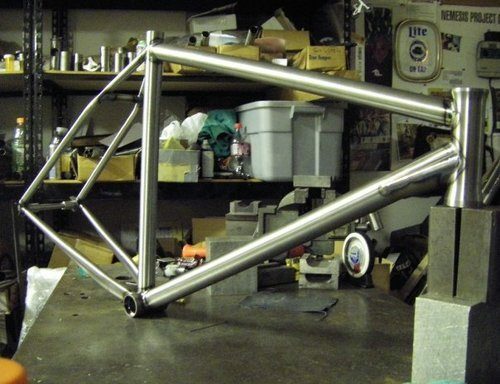 The Nemesis Project is working on a new freestyle frame called the Trackfighter. Awesome name! Spanish BB, clearance for fatties, integrated headset, gnarly gussets, flange-covered track ends and handmade in the US. No idea on the price, availability or other important information, so leave your questions in the comments and maybe they’ll answer them! Impressive man! Keep us posted!